When the professionals at US Communications & Electric, Inc. walk into the MGM National Harbor, they see more than the flashing lights and excited crowds ready to try their luck and skills. They see people walking through a large data center, above miles of low-voltage wiring, while knowing the hours of skilled, careful work that brought the facility to life. US Communications partnered with the IBEW Local 26, Low Voltage division on the project. 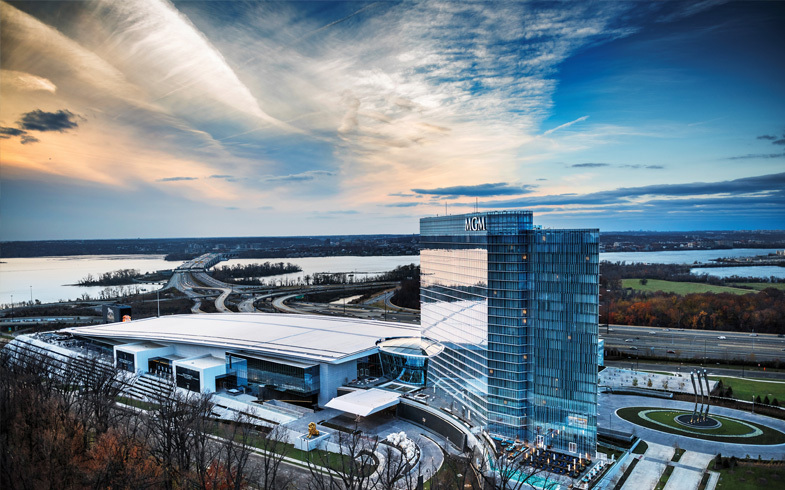 Together with additional electrical companies from IBEW Local 26, they powered and transmit data across a 3,000-seat entertainment venue, upscale restaurants and a food court, a 24-story hotel tower, and a parking garage that are part of the new MGM National Harbor casino in Oxon Hill, MD. The project scope included more than $4 million in materials, more than $4 million in labor, and more than 90,000 man hours. Due to the planning required, most of the effort took place over just an eight-month period. The firm offers installation and design-engineering consulting services. Its expert solutions include fiber cabling systems from campus and backbone design and installation to OTDR testing and certification. The company designs and installs outdoor copper and fiber backbone systems; horizontal copper and fiber cabling solutions to support desktop data, voice and video systems; and wireless data networking systems. A Maryland Department of Transportation and General Services Administration-certified Minority Business Enterprise, US Communications supports the local economy. It pays prevailing wage rates to its employees, adding additional employees to the IBEW Local 26 Apprenticeship program and hiring ex-military personnel in the field and at its warehouse. Professionals from US Communications worked closely with Local 26 electricians, as data doesn’t work without power. It also coordinated with workers pouring concrete and installing drywall, county building inspectors examining penetration through firewalls, and the like. Operating within the regulatory framework, they worked with MGM and gaming officials, as security changed and tests were conducted.